The parcel string that Florence carried with her for the rest of her life. James Brill’s family came from Pavilion Road, SW1 and his wife Florence was an employee for Westminster Council. James Brill (1893-1915) was born in Chelsea. 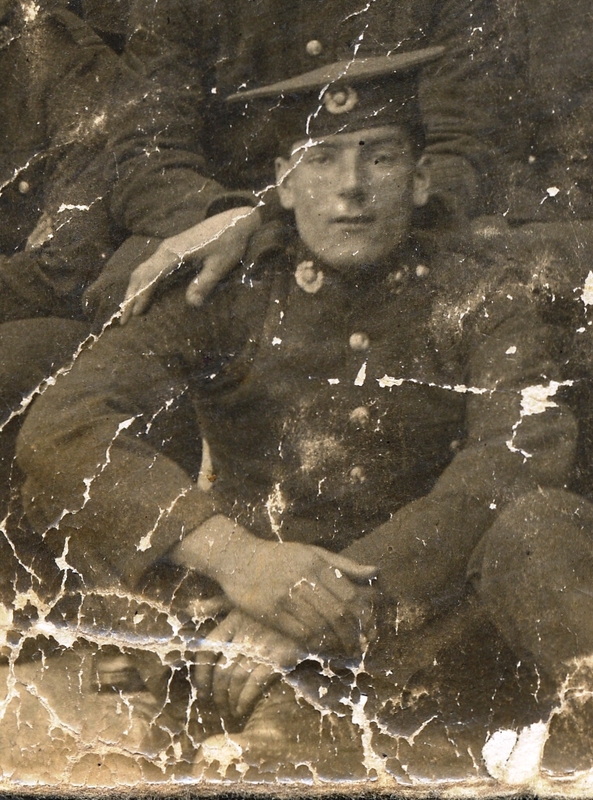 When war came in 1914 James joined the Chatham Battalion of the Royal Marine Light Infantry (RMLI) on October 10th 1914. 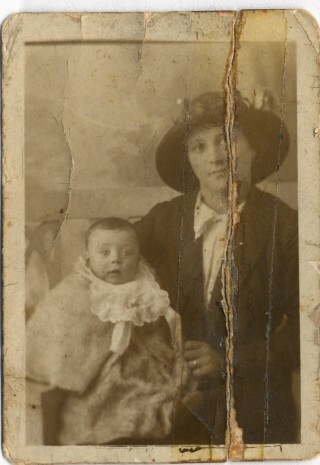 Just a month later his girlfriend Florence gave birth to his son and to ensure she avoided the scandal of life as an unmarried mother, James went absent to marry her at St Simon’s Church, Chelsea, on Boxing Day 1914. He was promptly arrested and confined to barracks for 14 days. In 1915, Brill’s battalion embarked for the ill-fated Dardanelles campaign at Gallipoli, Turkey. On the Greek island of Skyros on the eve of their attack James and the Chatham Battalion provided the guard of honour for the funeral of poet Rupert Brooke famed for his poem, ‘The Soldier’ (If I should die think only this of me, that there is a corner of a foreign field that is forever England). The RMLI were thrust into the fiercest fighting, in the Monash Valley, where Australian and New Zealand troops (ANZACs) were suffering heavy casualties. On 3 May 1915 the Chatham and Portsmouth Battalions, RMLI, attacked a key ridge held by well-entrenched Turkish defenders. They were driven back with severe losses. An Australian major present Florence Brill and son Jim described their action as “the bravest thing (he’d) seen so far”. Marine Brill was badly wounded in the assault. He was evacuated to a hospital ship but died later the same day. Brill was buried in Egypt, at the Alexandria (Chatby) Military and War Memorial Cemetery. His ‘corner of a foreign field’ would forever be beyond the reach of his wife Florence, who was widowed and cast into poverty at just seventeen. An employee of Westminster Council for over twenty years, she carried James’ photograph and the parcel string from his last effects in her purse for the rest of her life. Westminster Archives have worked with local schools to help children to re-discover this story of a local hero, here are some comments from the children.